One way everyone can contribute to a more inclusive and welcoming campus culture is by having meaningful, supportive conversations; however, the ability to remain supportive when presented with difficult or uncomfortable conversational topics requires specific skills and lots of practice. We hope that you will come spend an afternoon with us at the Hattie Redmond Women and Gender Center practicing these conversational skills and enjoying treats generously donated by our community businesses. 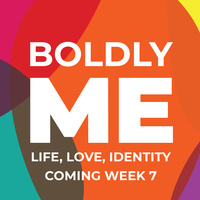 Boldly Me is a week of events focused on healthy sexuality and promoting inclusivity for people of diverse gender identities and sexual orientations. This week is all about celebrating the uniqueness contributed by each and every member of the OSU community -- through events designed to promote healthy relationships, increase understanding of consent, and showcase individuality in identity! Events are brought to you by Student Health Services and the Wellness Agents, the OSU Craft Center, OSU Program Council, UHDS, CAPS, the Pride Center, the Hattie Redmond Women and Gender Center, SHS Prevention and Wellness, SARC, and a group of generous community donors.